There is a seat for you at Chabad's Passover Seder! We offer a warm, interactive Passover Seder. Our Sede r is English friendly and not prayer intensive, so everyone can feel welcome. Enjoy fine wines, full catered gourmet dinner, and crispy hand-made Matzot. New this year Improv Comedy at the Seder! Celebrate the Holiday of Freedom at a Seder experience you will remember for a lifetime! 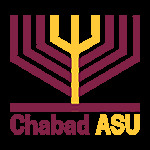 We look forward to personally greeting you at the Seder!